Hello, friends! I don’t normally post on Thursdays, but my poor baby girl has been sick this week and alas, I am now too. So, I didn’t get to post yesterday, but am today instead! You know when you move into a house and just try to unpack stuff and get it into a “space,” without really taking the time to organize? That’s what happened to our linen closet. Even though we’ve lived in our house for 4 years now, it just was never at the top of my list. But, it’s been driving me nuts lately when I open it up to grab a towel. It stares me in the face begging to be organized. I’ve been putting it off to do other things since no one really sees it but me. And, occasionally a guest or two, which is usually family; so they forgive me. And so, I cleaned it out and organized it all into neatly folded stacks and bins. I can now open up the closet without stuff almost falling on me. Win! In the process, I learned a few thing that were super helpful. I thought you might also find these tips helpful, so I’m sharing 5 tips to organizing your linen closet! But first, a before shot; just because. I must really like you all to embarrass myself this much. Don’t judge. It doesn’t look like this now! I mean everything. 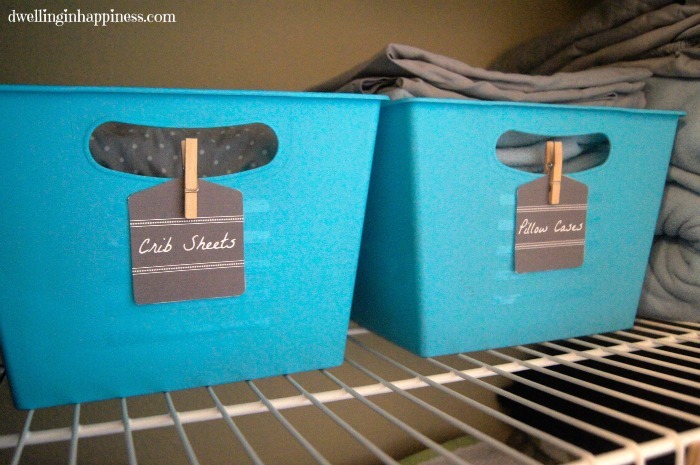 Empty your linen closet out completely. This might seem annoying and take up a LOT of space while doing it, but it will make life easier when you’re putting everything back. Once everything is out, you can easily group it all. Everyone’s linen closet looks different and stores different things. That’s ok! 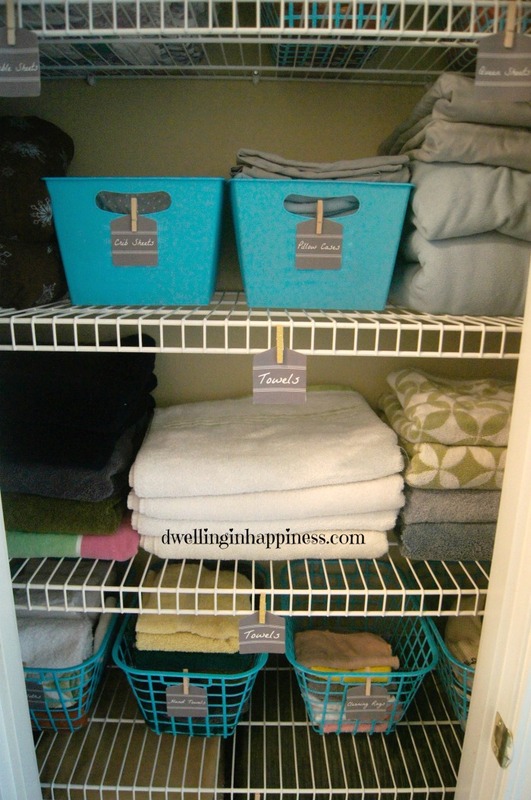 Just organize everything into general groups: towels, bed linens, blankets, etc. When you go to put it all back in, everything will be neatly folded and you’ll have a fresh start to easily switch where things were kept before. You’ll definitely be able to get more in there! Now that you have everything out, you can start going through it all and decide what you want and need. Obviously when you haven’t cleaned out a closet in awhile, there’s junk stuff you find that you didn’t know you even had. I found a few things we bought when we got married and never used, as well as old sheets from beds we didn’t even have anymore! This all takes up precious space, and you know no linen closet has endless amounts of space. Throw any old towels away, donate any bed linens that don’t fit your current beds (if they’re in good condition! ), and sell anything that you think might be worth something. Trust me, you don’t beed 10 sets of sheets for your bed. So, Just do yourself a favor and get rid of it. Phew! Doesn’t that feel better already? I had a HUGE Goodwill pile by the time I was done sorting through everything! In my before photo, you can see everything was just sort of thrown in, without any rhyme or reason. I had no organizational tactics in place whatsoever. 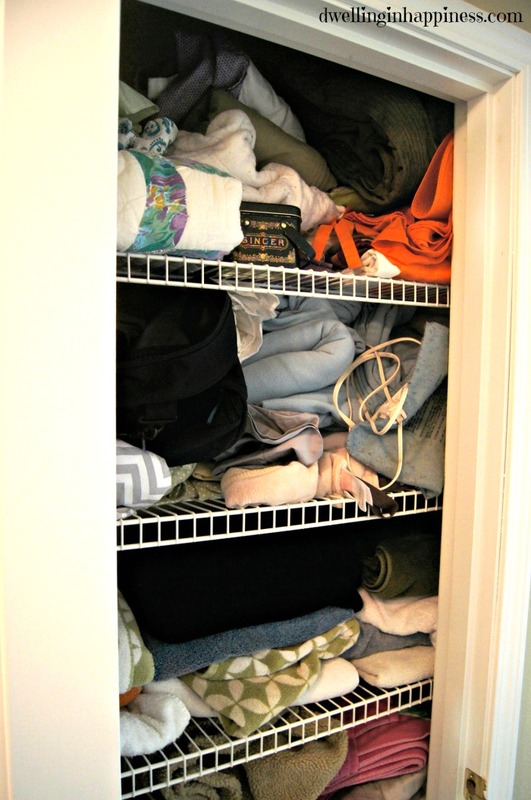 Without baskets or bins, it’s easier for a closet to get messy and out of control super easily. I didn’t want to spend much on this little project, so I found some little blue plastic bins at the Dollar Store. They were the perfect size to fit on my shelves and hold towels and random things. At a buck each, they were a steal! 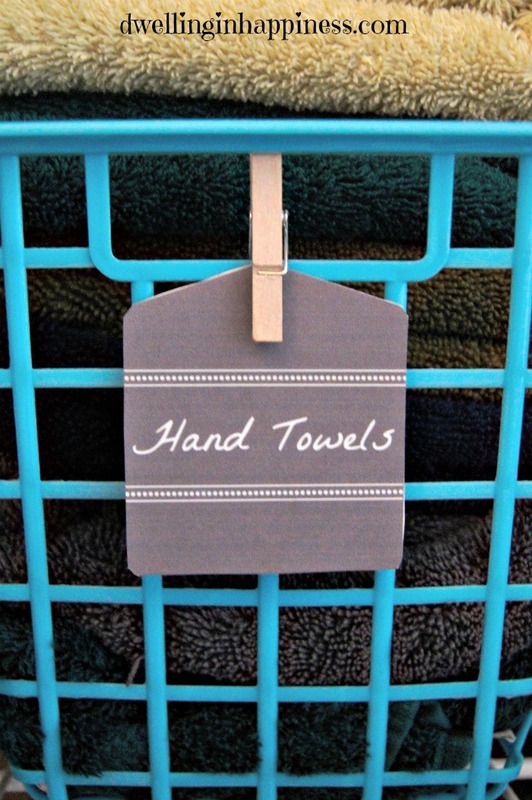 If you’re really pressed for space in your closet, you can roll towels instead of folding them. Unfortunately my bins weren’t big enough to roll my towels into, but it still works just fine for us! They hold our smaller hand towels and washcloths, cleaning rags, pillow cases, etc. I totally haven’t mastered the whole folding-sheets-to-fit-into-a-pillowcase art, but I’m over it. If you can do that, I’m totally jealous and in awe of you. For me, throwing those things I can’t fold well into a bin is the best option. Find a system that works best for you and your family, and you’ll find it’ll be a lot easier to keep your linen closet in order! Labeling makes life soooo much easier. Just do it! You’ll only ever have to do it once, and you’ll forever be organized. Grab some pre-cut labels from the craft store, cut your own out of paper, whatever; just label the items you stick in bins. Friends, I’ve even saved some time for you here and am giving you the tags I made for our linen closet. They’re simple, neutral, and easily attached with clothespins or string. It’ll take you literally 10 minutes to print, cut them out, and attach them on. No excuses! Now I know not everyone has these exact items in their linen closet. So, if you need other ones, I also added a page that you can edit in your own label! You can print your free labels off HERE. Don’t they just make those bins that much prettier? Maybe this is obvious, but it’s still a good reminder. We use towels the most out of our closet, so I put those on the very middle shelf so we can easily grab one. Just below that are the hand towels and washcloths. At the bottom are blankets that we use more often in the winter. Above the towels I store our bed linens because they’re still easy to grab. At the very top, I put items I only use a couple times a year. That way, we aren’t having to reach down or up to get items we need on a regular basis. But, who doesn’t love fresh smelling linens? Got any of these lying around in your drawers? 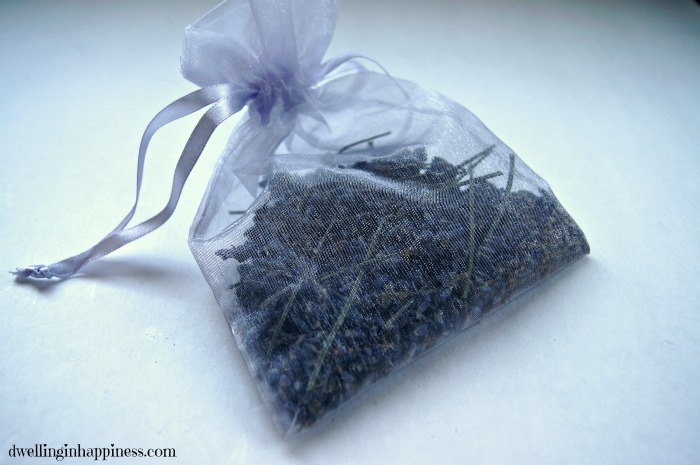 My grandma LOVED making little potpourri bags with her fresh lavender, so I have several. I’ve had them for years (they kind of get lost in my drawers!). But after awhile, they start to lose their lavender scent. 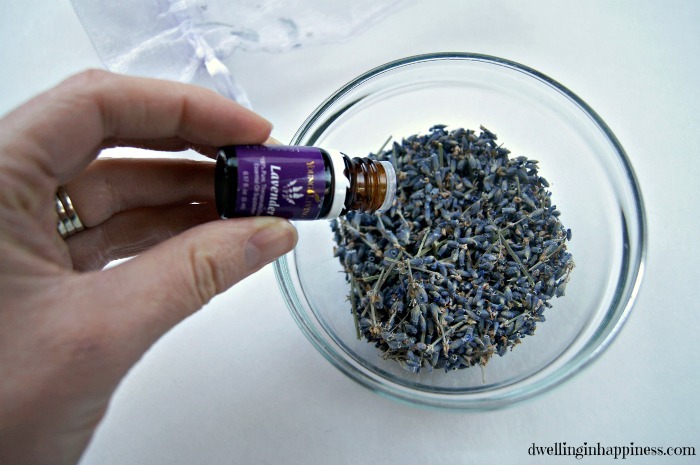 So, I just freshened them up by pouring the lavender into a bowl, and adding 8-10 drops of lavender essential oil (find out how I get my lavender oil at wholesale prices!)! I stirred it a little with a spoon to coat it all, and then dumped it back into the bag. I like to tuck the bag into my pillow case bin so they smell like lavender when we go to use them! 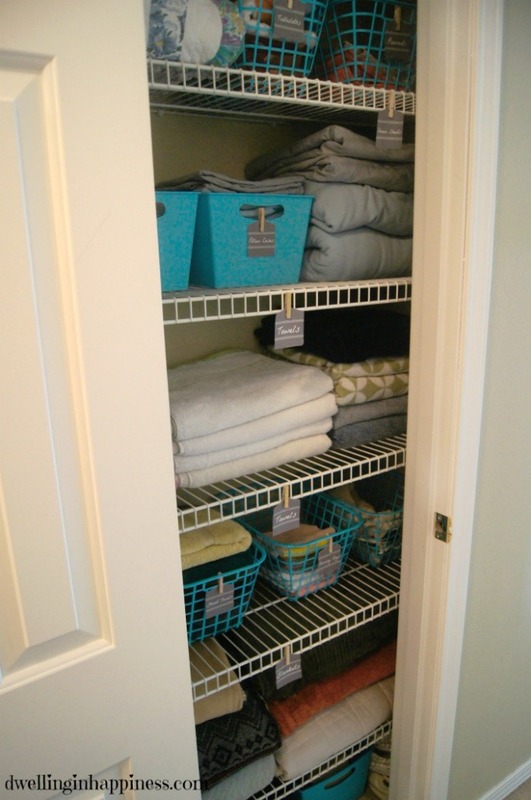 So now, my linen closet is ultra organized (and smelling good, too!). Organized = happy momma. 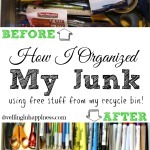 I think organizing my junk drawers a couple months ago has been getting me in the organizing mood lately! Could be worse, right? 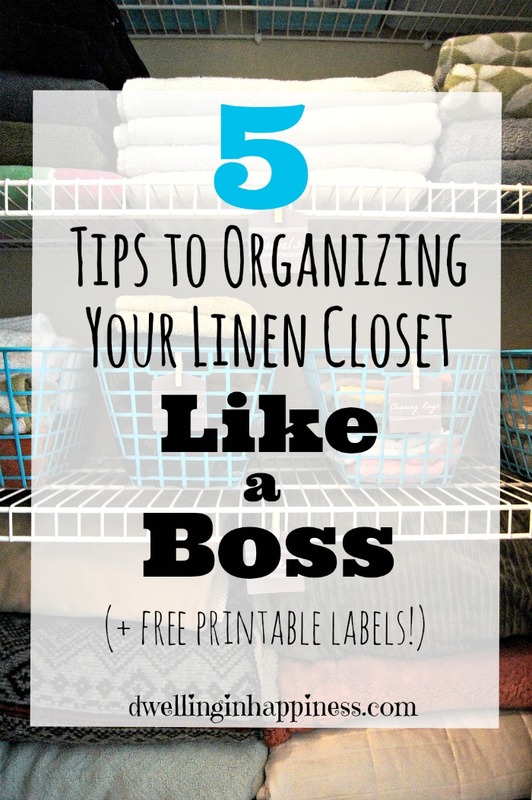 Have you organized your linen closet? What system or tips work well for you? Ha! I hear ya, Kelly! 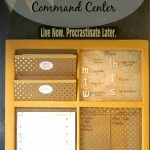 I need to actually do my pantry next; maybe I’ll do the same and use Dollar Store bins, too! Hope you get to your linen closet soon, too! 😉 Happy Friday! This is great! I need to go through and clean out my linen closet again, it has been a year… My daughter loves to get the towels out to play with her dolls and she makes such a huge mess. I love the idea of using dollar store bins to keep them in, instead of just stacking them on the shelf! I also love the lavender tip! I am so happy to see that your original closet looks just like mine does now and that there is hope for me. It seems that no matter what I do I cannot manage to keep it organized. 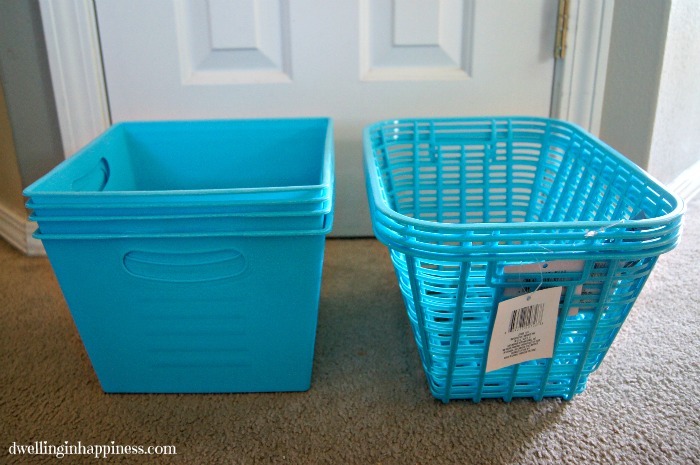 I will be buying some baskets because now I can see they make a huge difference. Thanks! Thanks, Crystal! Ha, and I’m so happy to hear that I’m not the ONLY one that had a mess of a closet!! 🙂 The bins will totally help! Thanks for stopping by! You did a fabulous job, your linen closet looks great!! This is one area of my house that desperately needs some organization. My linen closet is like yours was, where stuff falls out the second the door is opened YIKES. 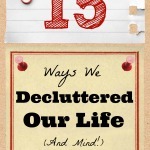 I guess reading this post means I should no longer put off organizing mine. Have a great weekend! Looks amazing! And don’t be embarrassed with your “before” pictures, Amanda! I think we all have a linen closet that looks like that 😉 Love the bins and the labels are just perfect! hope y’all are feeling better!!! Thanks, friend! Ha, I know, but I still cringe at the thought (and sight!) of the before! SO glad it’s not that way anymore. I should do my pantry next, that’s just as bad!! Hope you’re having a lovely week! Looks fabulous! Pinning & sharing; have a great day! Looks great! I love those blue wirey baskets. Thanks Christine! I still can’t believe they are just Dollar Store bins!! In fact I was back there yesterday, and they had a ton more, and several more styles! Id only I had waited a few more days. 🙂 Thanks for stopping by! Ha! 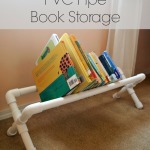 This could totally work for open shelving, too! Bins are fantastic in any spot!! 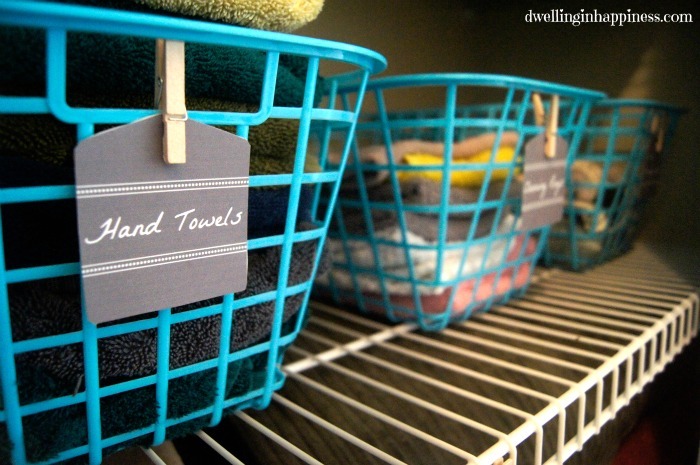 🙂 Great idea to keep old towels though, I always end up tossing mine but then will randomly need one for a disaster spill of some sorts! Hope your week is going great so far! 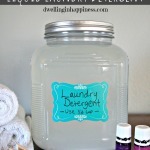 Love the basket idea and the scent! I have a three year old who thinks it’s fun to empty every shelf she can reach then spread all the towels and blankets on the floor to make a beach or some other thing. 🙂 Pinning and sharing! Thank you so much! Ha, I know what you mean! Everytime I go into the closet to put things away, my toddler is below me pulling stuff out! 🙂 Thanks for sharing, hope your week is going great! What a transformation! I just love being organized. My linen closet is definitely out of control right now, though. I need to get some baskets and follow your tips to get it straightened up. Thanks for joining us for Hump Day Happenings! 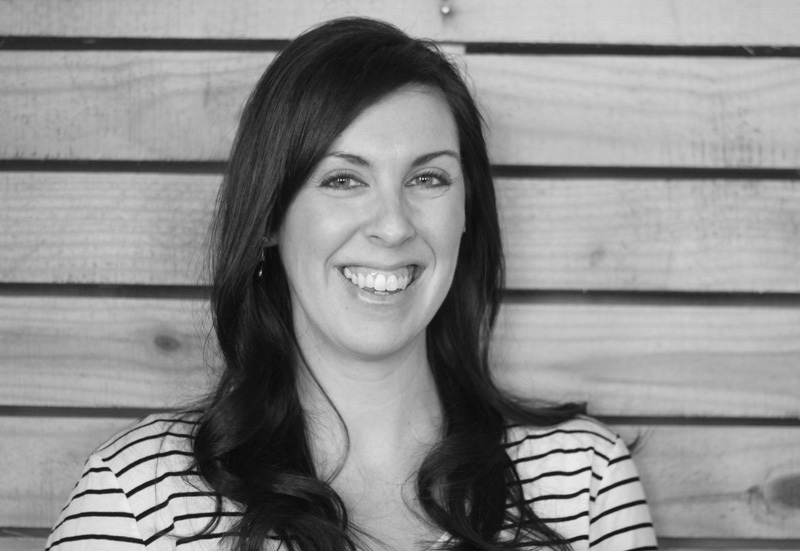 Thank you, Jenna! Baskets seriously help, so much more than I thought, too! I find myself keeping it perfectly clean when everything has its own little bin. 🙂 Hope your week is going great! Thank you, Julie! The baskets are a huuuuge help to keep it all together, and the labels are, too! 🙂 Hope you’re having a great weekend! My linen closet is a DISASTER! 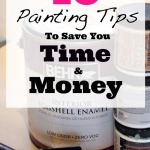 Thanks so for the fabulous tips and for sharing on Show Me Saturday! Thank you! I appreciate the share love! 🙂 Hope you have a fab week! LOVE the after – so pretty and organized! I think those little labels may be my favorite 🙂 I so wish I had a linen closet to keep all that stuff in – we just have an ugly wicker shelf in the bathroom that the previous owners left to house all our linen stuff, which means it’s in open view of everyone. Weirdly our whole house only has 2 closets, neither of which are for linens. Boo. Thank you Erica! I love me some labels. 😉 And wow, that’s so crazy you only have 2 closets?! At least yours is now beautiful, right? 🙂 Is your house an older one? Happy Saturday!